The Mini Roadster will start from 22,600 euros in Germany. FRANKFURT – Mini is launching the Roadster this month, two years after the car was first shown as a concept car at the 2009 Frankfurt auto show. 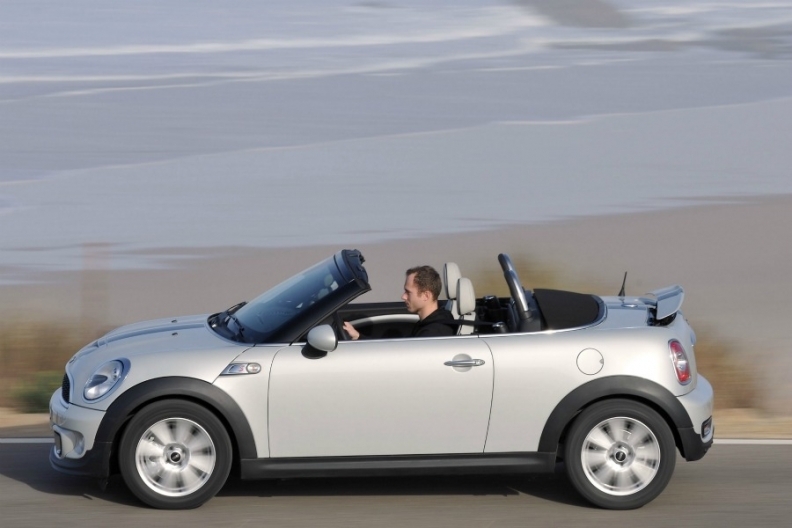 The model is the brand's first two-seat convertible and the sixth Mini variant. 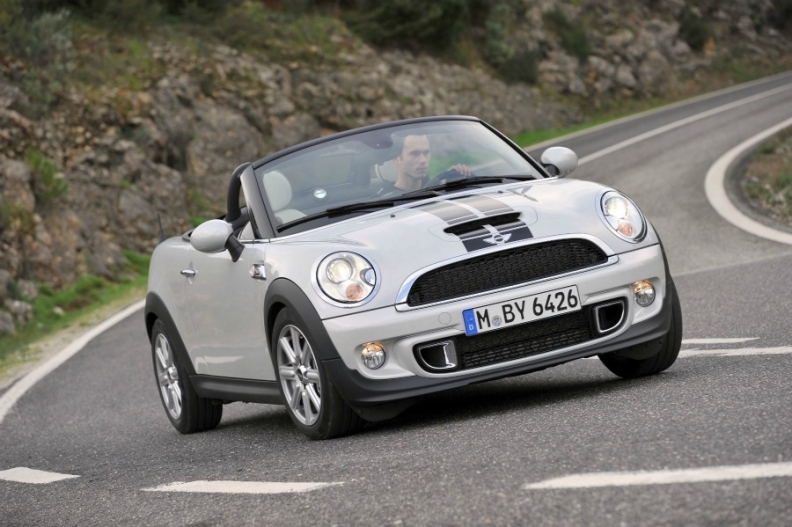 The Mini Roadster will go on sale globally on February 25, the automaker told Automotive News Europe on Tuesday. Prices will start from 22,600 euros in Germany. The model will be available with a choice of three 1.6-liter, four-cylinder gasoline engines with 122-hp, 184-hp or 211-hp and and a 143-hp 1.6-liter, four-cylinder turbodiesel unit. The Roadster arrives 10 years after the BMW Group relaunched the iconic British brand and joins the coupe, four-seat hardtop and convertible models, the Clubman and Countryman in the current Mini lineup. A seventh model, the Paceman, a two-door crossover, is due to go on sale next year. Last week, a Mini spokesman told Automotive News Europe, that that there were no plans to build a production model of the Rocketman concept car, first seen at the Geneva auto show last year. The distinctive straight lines of the roadster give it a low sporty appearance. Mini have given the Roadster has a distinctive straight bodyline which rises just slightly as it reaches the flat rear end of the car, giving it a low sporty appearance. This is complemented by an active rear spoiler, which extends automatically once the car reaches a speed of 80 km/h (50 mph). The body frame and windscreen of the soft top have both been reinforced to provide extra rigidity and stainless steel rollover bars provide additional protection to the occupants in the event of an accident. The Roadster, which will be built at Mini's UK plant in Oxford, is fitted with a manually operated soft top which allows rapid opening and closing, according to a statement from Mini. The car offers 240 liters of luggage space, which is accessed through a wide-opening tailgate. An additional stowage area is located behind the driver and passenger seats. The Roadster sits 20 mm (0.78 inches) lower than the four-seat cabriolet and at 3730mm (147 inches) in length and 1680mm (66 inches) in width, is 2.54mm ( 0.1 inch) shorter, and 48.26mm (1.9 inches) narrower than Mini's existing open-top model. According to a report in the UK's Car magazine last week, the BMW Group is set to launch a third generation of the Mini brand starting with a reworked three-door hatchback next year. Codenamed F56, the hatchback will the first of a number of new larger Mini models planned between 2013 and 2016, that could include a people carrier and a four-door sedan, the magazine reported. In 2011, Mini's global sales grew by 21.7 percent to 285,060 units.